THIS SHOW IS CANCELED DUE TO BAD WEATHER. PLEASE SEE A LIST OF THE OTHER INDOOR EVENTS THAT ARE PART OF THE PLG ARTS MUSIC FESTIVAL. 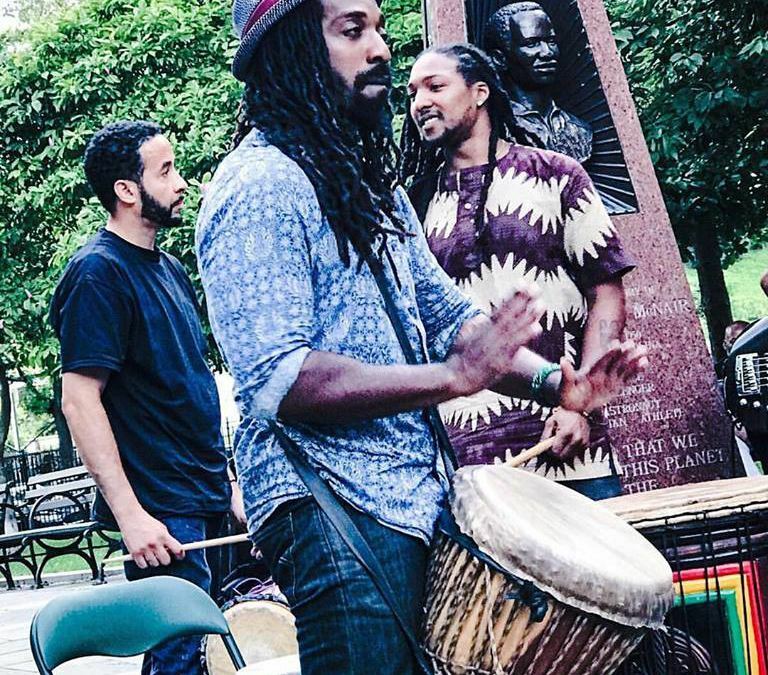 Talu Green, percussionist in the Broadway show “Fela,” brings TaluDjembe & theSoundologists to perform traditional music of West Africa with djembe drums and percussion. Parkside Plaza is an outdoor public space on the corner of Parkside and Ocean Avenues across from Prospect Park.